Rail passengers in the north-west of England are set to benefit from a major programme to upgrade tracks and facilities around Liverpool, it has been announced. 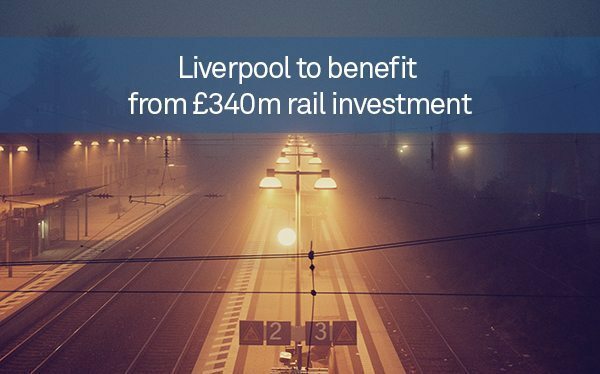 Network Rail and the Liverpool City Region LEP will pump £340 million into the improvements, which will help deliver faster, more frequent and more reliable passenger services by 2019. This will be vital in meeting a projected 100 per cent increase in demand for rail travel in the region by 2043. Among the improvements will be new and longer platforms at the city’s Lime Street hub, a completely new station at Maghull North and the introduction of new tracks between Huyton and Roby, which will allow faster trains to overtake local services. A new section of railway will also enable frequent new services between Liverpool and Chester, with future plans to extend these into North Wales. While he added efforts will be made to keep disruption to a minimum during the work, chair of Merseytravel Liam Robinson acknowledged there will be some “significant changes to how people make their journeys” as the upgrades take place. Liverpool Lime Street, for instance, is expected to be closed for a period in autumn 2017, and again in 2018, as work to upgrade track, signalling and platforms takes place. Alternative transport solutions will be implemented for these times.